This area includes the Chiltern Escarpment around Ivinghoe Beacon, Pitstone Hill and the Ashridge Estate and the summit of the Escarpment at Ashridge. It also includes sites on the lower ground around Pitstone. Landscape Types: The escarpment and lower slopes are agricultural unwooded, while the plateau is agricultural wooded. Geology: Chalk. The plateau is overlain with clay with flints. Topography: The escarpment is very steeply sloping land. Calcerous Grassland: There is calcareous grassland on Ivinghoe Hills and Pitstone Hill SSSIs and in Pitstone Quarry One LWS. Woodlands: Part of Ashridge is designated in the Chilterns Beech Woodlands SAC and in Ashridge Commons & Woods SSSI. It contains beech and Yew Woodland, Mixed Deciduous Woodland and mature pollards. Eutrophic Standing Water: College Lake is a flooded gravel pit. Fen: There is a small fen in Pitstone Fen LWS. Arable Field Margins: Areas of College Lake LWS are used to grow rare arable weeds. Hedgerows: There are some areas of pre-18th century enclosure which may contain species rich hedgerows. 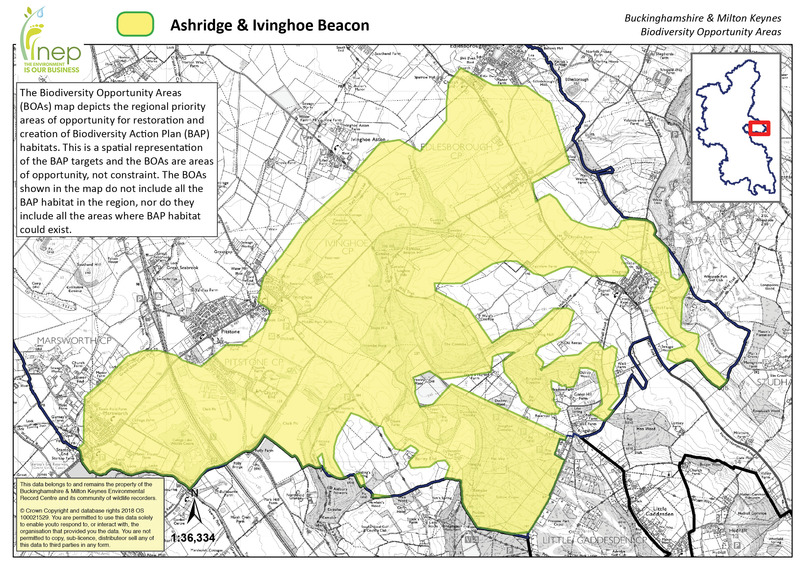 Archaeology: Beacon Hill at Ivinghoe is a Scheduled Ancient Monument.